This article surveys the development of historical methodology in the works of some influent Muslim historians, observing their trends and scrutinizing everything related to narration of incidents, political, social, and sectarian currents. Before history became a "science" with theories, philosophical basis, laws, checkings and justifications with Ibn Khaldun and those who came after him, the historical writings in Arabic culture were run according to uprising types, different in their depth, speed and influence with the region and the age. We survey in the following the development of methodology in some historical writings, observing their trends and scrutinizing everything related to narration of incidents, political, social and sectarian currents. We may begin at the second Hijra century, with some narrators of history, expeditions and biographies, such as Wahab Ibn Munabbih  (who d. in 411 H/732 CE), ‘Urwa Ibn al-Zubayr (d. in 94 H/712 CE) , Sharhabil Ibn Sa'd (d. in 123 H/740 CE), and ‘Asem Ibn ‘Umar Ibn Qutadah (d. in 120 H/737 CE). The writings of those scholars were in the field of expeditions and constituted an introduction that paved the way for those who followed them, such as al-Zahri, al-Wakidi and Ibn Ishaq. Al-Zahri (d. in 124 H/741 CE) was the one who expanded in the collection of narrations and their verification. To denominate the maghazi (expeditions), he used the term sira or narration (meaning also biography). With Ibn Ishaq (d. in 151 H/761 CE), we find him advancing stride in gathering the historical narrations with traditions of the Prophet (Hadith), poetry and folklore tales. His famous book Al-Sira reached us in a version revised by Ibn Hisham (d. in 218/812 CE). Besides, one of the famous historians of this phase was al-Wakidi (d. 207 H), author of the book Al-Maghazi (Expeditions) and other works. In the same context, that of news narration, other names emerged such as Abu Mukhnef , ‘Awaneh Ibn al-Hakam , and Naser Ibn Muzahem . Perhaps the most outstanding of these news narrators were al-Mada'ini (d. 225 H) , Ibn al-Kalbi (d.204 H) , al-Haytham Ibn ‘Uday , and Abu ‘Ubaydah  (d. 211 H). Before we leave the third century after the Hijra, al-Baladhuri (d. 279 H) , the author of Futuh al-Buldan (Opening the Countries) and Ansab al-Ashraf (Genealogy of Illustrious Men) stands in front of us. Even though he relies on the news reported by his ancestors, he criticized these records and treated them in a selective way. The same method is followed by his contemporaries al-Ya'qubi (d. 284 H) , in his book Al-Buldan (Countries), which is considered the first book in the field of the historical geography, Ibn Qutayba (d. 270 H) , in his book Al-Ma'arif (The Knowledges) and al-Daynuri (d. in 288 H), author of Al-Akhbar al-Tewal (The Long Tales). When we come to the beginning of the 4th century hijri, we find al-Tabari (d. 310 H), with whom the preliminary phase of the historical writings in Islam arrives to maturity. Al-Tabari depended on his comprehensive education and his method as a narrator of Hadiths and legal scholar (faqih) to check the ascription and to scrutinize the previous records. Thus we see the different approaches in historical writing according to schools and with regard to their evolution during the first three centuries of the Islamic civilisation, and with regard to their geographical locations, whether in Madinah, Kufa, Basrah or in other cities. In the 4th century, Maskaweyh  developed significantly the historical method. He was later on followed in this enterprise by other eminent scholars who reinforced the intellectual basis and the philosophical spirit of the construction of the historical object. We mention here the names of Ibn al-Khatib, Ibn Khaldun and al-Maqrizi as representatives of a clearly identified method in history writing. Abu Ali Ahmad b. Muhammad b.Ya'qub is known as Maskaweyh. His known dates of life are ca. 322-421 H (ca. 940-1030 CE), which means that he lived almost a century. Now, this means almost a century, which is is most improbable . He left more than forty books , the most outstanding of which is his important book was Tajarub al-Umam (The Experiences of Nations). Maskaweyh depended heavily on al-Tabari, and relied on his own views and experiences in his long life, as well as on his knowledge of the sciences of his age, such as philosophy, religions, tradition (Hadith) and narration (riwaya). Maskaweyh represents an advanced step in the objective historical writing. In spite of being contemporary to the Buyid Sultans and Ministers, we notice that he did not praise them or compliment them in his writings. He did not show, either, any tendency to an intellectual standpoint, nor did he receive the patronage of a king. On the contrary, he tried to observe the events of his age and analyze them in a rational way, to an extent he was called the "third teacher", due to his ability in the philosophical thought and to his implementation of this thought in writing history. • His book Tajarub al-Umam is considered an important historical reference, displaying a vital record for the incidents of the 4th Hijra century. Maskaweyh recorded those incidents from their owners. He interpreted them depending on the conscious philosophical deduction, practical attitude, organized constructive mentality and the neutral attitude. The traces of this methodology are obvious in different ways in the works of subsequent Muslim historians, such as Rashid al-Din Fadhl Allah (d. 718 H) who wrote the book Jami' at-tawarikh (Collector of Histories), Ibn Khaldun, al-Sakhawi, al-Maqrizi and some Andulsian historians whom we will mention later on. The up growth of the science of history in al-Andalus depended on oriental influences. We notice in Andalusia that important names whose experiences were accumulated and crystallized with the process of time. Among them, Abdul Malek ibn Habib, the sons of al-Razi, Ibn al-Qutiya and ‘Urayb ibn Sa'ad. Then the historical writing became more mature and more steadfast with Abu Marwan b. Hayan, the author of Al-Moqtabas, Ibn Hazm, the encyclopaedic scholar, author of Al- Jamhara and Al-fasl, then Ibn Saheb al-Salat, Bani Sa'id in their two encyclopedia books Al-Mughrib and Al-Mushriq, and others . When we reach to the 8th century Hijra, corresponding to the 14th century CE, the scholarship in the science of history attains its top to that of Ibn Al-Khatib, the encyclopaedic scholar, and Ibn Khaldun, the famous author of several works in the philosophy of history and the first phase of sociology. Figure 2: The route of Ibn al-Khatib, retracing the path followed by the famous polymath in his retreat from al-Andalus. The route was recreated by tourist operators in present Andalucia, the Southern region of Spain. (Source). 2. He says in the Ihata that "the historical art is a goal for humans… ; through it they know their ancestries legally and naturally, and acquire the reason of experience in case of silence and luxury; by it the reasonable man sees the ability of God Al-Mighty, which clears his chest and recovers him ." Thus, history for him is the knowledge of the past for enriching the vision of the present. 3. History is not a mere account of the political events and the biographies of Kings and Sultans, it is a depiction of social and economical life, including the focus put on the elements of development and prosperity, or those of backward and deterioration. In doing so, the historian follows the accurate details of topic he is talking about. "We were received by the town -God protects it. He called on the citizens of the town, ‘your real day is the day of decoration', then pigeons were set free by their owners, and the hearts showed love, places showed their beautiful angels, and houses showed their rooms. So we saw the crowdedness of the stars with the shoulders, moons in chests rushed, white like pigeons…"
He continued: "Women mixed with men, the owners of pigeons met the most beautiful women. We did not differentiate between weapons and beautiful eyes, neither between the ribbons and the red cheeks." We notice here the accuracy of Ibn al-Khatib's narration, and his description of social life where men and women are shown. In another passage of his book, he mentions that Christian citizens were present in the kingdom of Granada, and that, enjoying their complete rights, they participated to the ceremonies of reception of the Sultan. Then we came to Aghmat city [which is located] in an easy walking and flat plane land, all of which is well irrigated. The wall of the city is in red earth fence, with a filled trench. It is penetrated by two rivers formed by the snow melting. The city is well built, its mosque is old and normal with a big courtyard, and its minaret is peerless on the whole earth . 6. Moreover, he respects the time sequence accurately and objectively, like any respectful historian. He reviews the states, their upgrowth and their fall historically and accurately. He does not privilege any state for its honour or prestige, such as the Idrisids of Morocco for example, like what was done by other writers, in order to reach proximity and support from the Sultans of their age. 7. Ibn al-Khatib is keen to mention the sources of his information, and talks of previous historians with respect. He reported such a variety of names which show his wide and deep knowledge. In the introduction of Al-Ihata, he mentions the books he went through as those devoted to relate the chronicles of cities, which he wanted to compete with in his Ihata, some of which were Tarrikh Bukhara (History of Bukhara) by Abu Abdullah al-Fakhar, Tarikh Isfahan (History of Isfahan) by Sahib al-Hulyeh, Tarikh Hamadhan (History of Hamadhan) by Ghena Khusru al-Daylami, Tarikh al-Raqqa (History of al-Raqqa)) by al-Qashiri, Tarikh Baghdad (History of Baghdad) by al-Khatib al-Baghdadi, Tarikh Dimashq (History of Damascus) by Ibn ‘Asakir, Tarikh ‘l-Isakandariya (History of Alexandria) by Wajih al-Din al-Shafi'i and Tarikh Makkah (History of Mecca) by al-Azraki, etc. The multiplicity of these sources and the variety of their scope shows the wideness of his knowledge and his reliability in quoting his sources. 8. He was careful to make use of the information from their near sources. He asked his friend the ambassador of Castilla Yusuf ibn Ahmad b. Wakarek to provide him with information about the history of the Christian kingdoms, Castille, Aragon and Portugal, so as to document his knowledge about them from reliable sources . 9.Ibn al-Khatib did not overlook secondary sources of information, such as the inscriptions and writings on different buildings, shrines and structures, documenting them and benefiting from them in his historical material. 10.Another feature regards his high morality, honesty and objectivity. The example for which is the letter where he advised Pedro I, king of Castile and Leon (1350-69). The Spanish orientalist scholars quoted this document as a proof of the morality of Ibn al-Khatib. Mentioned by the contemporary Spanish historian De Iyala, this document was considered as a higher contribution to moral philosophy that exceeds that inherited from the philosophers of the past, such as those of the Stoic school . 11.In his works, Ibn al-Kahtib mixed between history, geography and travel accounts in a frame of elegant and eloquent artistic prose, so that his writings were full of literary stamp and nicely rhymed text. These ten remarks characterize the historical method of Ibn al-Khatib, which can be be compared with the methods of other historians such as Maskeweyh and the famous contemporary of Ibn al-Khatib, that is Ibn Khaldun, the master of the Arab historians. Figure 3: Ibn Khaldun, Discours sur l'histoire universelle. Al-Muqaddima, by Vincent Monteil, French translation. See for the English translation the version published by Franz Rosenthal (Princeton University Press, 1981). Online here. • The human civilized history. • Contemplating in different phenomena to consider their nature, their self elements and casual properties, and deriving a law that all these phenomena are subject to in the political thought, the philosophy of history and sociology. c). Being so, the science of history is subject to laws where the circumstances of the states such as strength and weakness, prestige and deterioration, are organized. Ibn Khaldun applied this theory in his book Al-'ibar (Lessons) where he narrated the events, commented on them and analyzed their results. 8. A strong idea structures Ibn Khaldun's approach to historical causality, when he considers that injustice is an introduction for the destruction of the civilization. He numerates the types of this injustice, such as aggression on people, limitation of their freedom, confiscating their money, weakening the chances of their living and their breadwinning. Civilization is usually deteriorated by the deterioration of the factors that make it and corruption leads to destruction. 9. Along the same path, corruption leads to the senescence of the state. Senescence is one of the chronicle diseases that could be natural with the age of the states and individuals. They could be causal due to the aggravation of injustice, corruption and aggression. 10. Putting the focus on social and economic factors in dealing with historical change, Ibn Khaldun had a lot of objectivity and scientific neutrality in his reading of the incidents of history and in their interpretation, in spite of the difficulty of being neutral in his age. Figure 4: Map of the world of Islam over three continents in 750 at the beginning of the Abbasid Caliphate. From The Historical Atlas by William R. Shepherd (1926). (Source). • Ighathat al-Umah bi-kashf al-ghomah (Saving the nation by removing the grief). Al-Maqrizi benefited from the experiences of his practical life as a writer in the state secretariat as well as a judge and a preacher. He also benefited from his comprehensive reading of the previous historical writings, especially of Ibn Khaldun. 8. Observing many social phenomena accurately, such as false witness, adultery homosexuality, debauchery and wine drinking. As a conclusion to our analysis, we derive some general remarks and deductions about the different stages of development of historical writings among Arab historians. 7. The appearance of the accurate specializations in the historical studies, including specialised areas such as studies in ancient, modern, oriental, Andalusian, periods, the studies devoted to the civilizations of ancient Egypt, Babylon and so forth. Even the history of literature and social history, archaeology and non material legacy are studied in narrow disciplines. 8. Trying to show the genuinene aspect of the Arab historians, and the extent of their influence on the western historians. 9. Going to the bright history pages to escape from the successive depression the Arabs are living nowadays. Al-Baladhuri, Futuh al-Buldan (Opening the Countries). Online at: http://www.al-eman.com/Islamlib/viewtoc.asp?BID=235. Exhibition: Ibn Khaldun. The Mediterranean in the 14th century: Rise and fall of Empires. Andalusian Legacy exhibition in the Alcazar of Seville (May-September 2006). Hajji Khalifa, Kashf al-Zunuun (Istanbul, 1942). Ibn Kathir, al-Kamil fi ‘l-tarikh. Online at: http://www.al-eman.com/Islamlib/viewtoc.asp?BID=174. Ibn Khaldun, Tarikh. Online at: http://www.al-eman.com/Islamlib/viewtoc.asp?BID=163. Ibn Khaldun, Al-Muqaddimah, Translated by Franz Rosenthal. Princeton University Press, 1981. Online at: http://www.muslimphilosophy.com/ik/Muqaddimah; see the Table of Contents. Internet Islamic History Sourcebook: http://www.fordham.edu/halsall/islam/islamsbook.html. Maqrizi, al-, Al-Mawa'iz wa-'l-i'tibar (Preachings and consideration). Online at: http://www.al-eman.com/Islamlib/viewtoc.asp?BID=224. Maqrizi, al-, Iti'az al-Hanfa bi-dhikr al-a'imah al-Fatimiyin al-kholafa (Taking a warning of the Hanfa, by mentioning the Fatimi caliphs and Imams). Online at: http://www.al-eman.com/Islamlib/viewtoc.asp?BID=222. Maqrizi, al-, Suluk. Online at: http://www.al-eman.com/Islamlib/viewtoc.asp?BID=259. Maqrizi, al-, Translations and Commentary on al-Maqrizi's Khitat. Online at: Translation Manifesto/ Scholars in Medieval Damascus/ Books Ill Suited for Penguin Editions/ Environmental Change in Cairo. 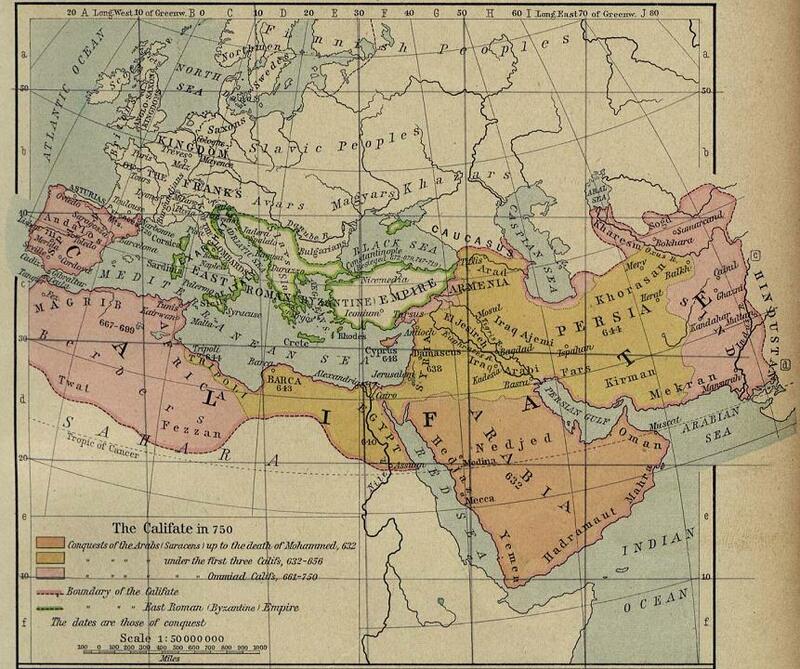 Walker, Paul E., Exploring an Islamic Empire: Fatimid History and its Sources. London, I.B. Tauris, 2002. Hajji Khalifa, Kashf Al-Zunuun (Istanbul, 1942), vol. 2, p. 1747. Al-Kutubi Ibn Shaker, Fawat al-Wafayat, vol. 2, p. 135. Yaqut, Dictionary of the Men of Letters, vol. 6, p. 94. Idem, vol. 7, p. 210. Idem, vol. 6, p. 309. Idem, vol. 6, p. 259. Idem, vol. 7, p. 261. Ibn Al-Nadim, Al-Fihrist, p. 53. Al-Baladhuri, Ansab al-Ashraf, vol. 5, p. 36. Ibn Qutayba, Al-Ma'arif, p. 7. 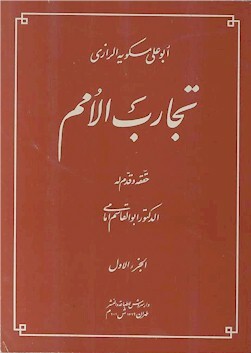 Maskaweyh, Tajarub Al-umam, edited by Abi al-Kasem Imami (Tehran, 2001). See on his bio-bibliography http://www.muslimphilosophy.com/ip/rep/H042. Maskaweyh, Tajarub al-umam, edited by Abu al-Kasem Imami, vol. 1, p. 27. Ballanthia, The History of the Analusian Thought, p. 193 ff. Ibn al-Khatib, Al-Ihata, edited by Abd Allah ‘Inan, (Cairo, 1955); another edition is that of Muhammad al-Fasi and A. Faure (Rabat, 1965). Ibn al-Khatib, Al-Lam'a al-badriya (Cairo, 1955). Ibn al-Khatib, Nafadhat al-jurab, Cairo. Ibn al-Khatib, Al-Ihata, Cairo 1955, vol. 1, p. 88. Ibn al-Khatib, Nafadhat al-jurab, p. 46. De Iyala, Mudawnet muluk Qashtala, 1/493. Balanthia, op. cit., p. 259 ff. Al-Maqrizi, Al-Mawa'iz wa ‘l-i'tibar, vol. 2, p. 95. Al-Maqrizi, Al-Suluk, vol. 4 (events of 826 H). * President of Al-'Adiyyat Society in Syria. This article is a reworked version translated into English from the original article published in Arabic at: http://www.manuscriptcenter.org/history/Researches/MohammedQijja.doc (the editor).